Sophie Pope is devastated when she hears the news: her former boyfriend, college football star Anthony “Rocket” Rogers, is engaged to be married. Determined to win him back before he says I do, Sophie hatches a foolproof plan to stop the wedding. But when Rocket’s best man, aspiring baseball player David Savage, thwarts her plot, she realizes the game is up. For David, though, it’s just beginning . . . 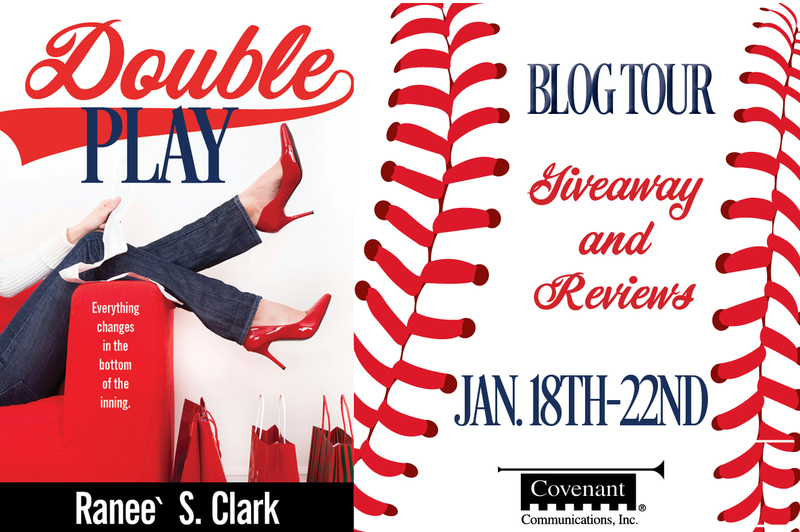 Double Play picks up where Playing For Keeps leaves off and gives two minor characters a chance to shine. I’ll admit, I was suspicious of Sophie because of her schemes in book one, but she makes some great progress in book two. Ranee S. Clark knows her BYU/ UVU college audience well. She has a way of weaving little details in that only a local would appreciate. The writing is clean, with just a tiny bit of spark. There are references to religion that aren’t overbearing to non-LDS readers. Overall, I thought the story was cute, light and fun. It also addresses the more serious issues of addiction, character and appearances. I would recommend Double Play for New Adults–ages 18-23. It can also be read as a stand alone.